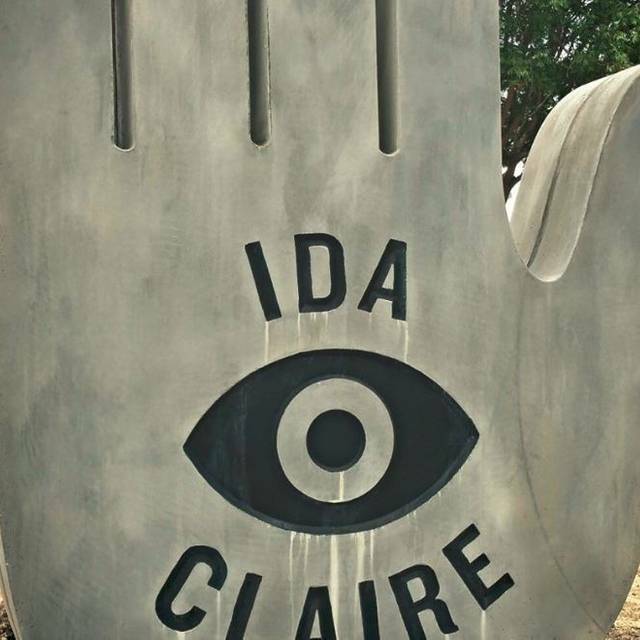 You must make reservations at least 5 minutes in advance of the time at Ida Claire. We have parking behind the restaurant, which you can access off of Quorum or Belt Line. We have vinyl hour during the week from 4pm to 6pm and then again from 10pm to 11pm. Come listen to some old school and new while your bartender makes you a $5 julep or pours a punch bowl for you and friends. 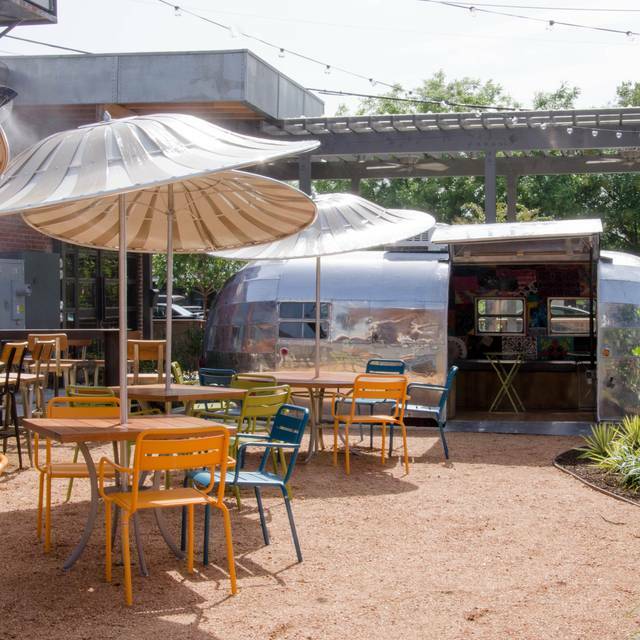 We have a converted AirStream trailer on our patio that can seat between 10-12 guests! Give us a call at the restaurant and ask to speak to Ashlee Kelley to check availability. Thanks! Ida Claire is a funky, southern influenced restaurant & bar. The food is notched up southern but has influences from different regions. 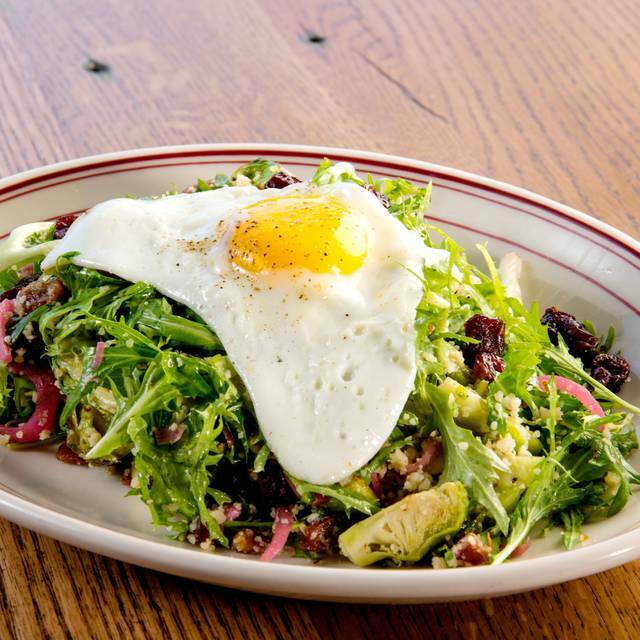 You’ll most likely see dishes you’ve heard of before but with little twists here and there. 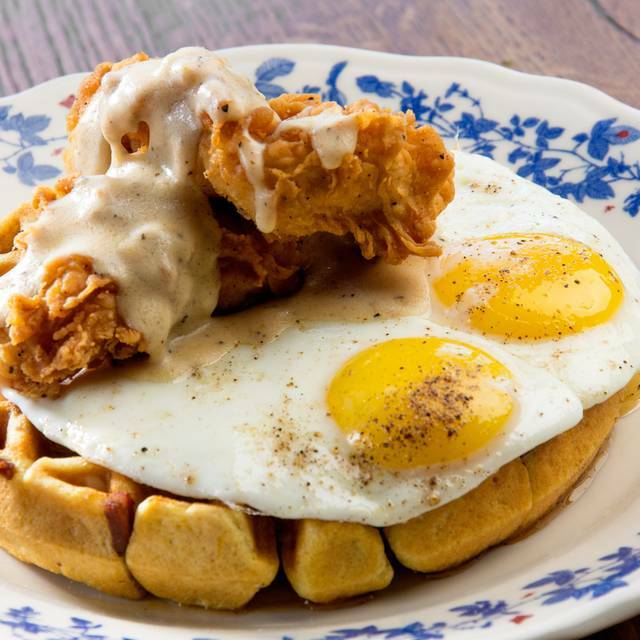 Our sandwiches will be served on biscuits & we’ll have chicken & waffles on every menu. Brunch is obviously southern & will be a big part of what we do. The drinks are takes on classics like the Mint Julep but revved up & including a lot of house made ingredients. We’ll have several different house bitters & a house gin. 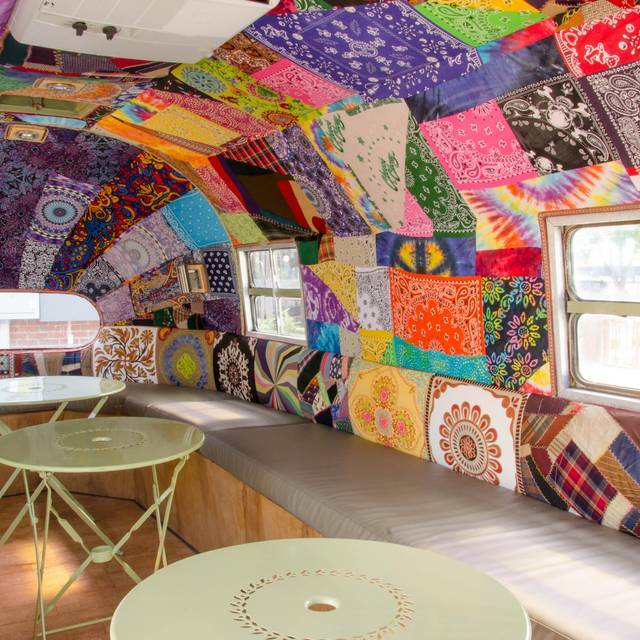 The décor has a southern influence with antebellum charm & elegant polish, stated most clearly in our reworked air stream trailer parked in the garden for VIP reservations. 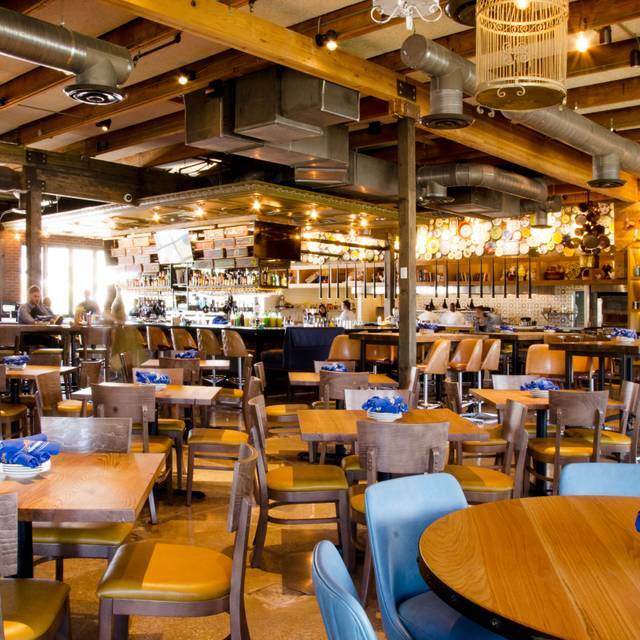 The whole restaurant will feel like a quirky southern aristocrat’s home…just not exactly what you might think. Easter brunch, very popular with young families, one of which had a really fussy baby seated next to us. Not very convenient to navigate between tables because there’s no clear, direct path to the restrooms. 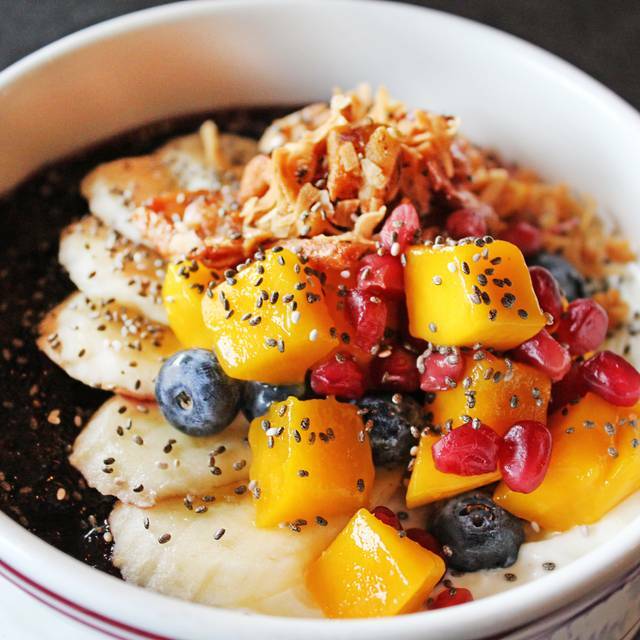 Food is well-flavored, balanced with quality ingredients and prepared impeccably. Service was great our dishes arrived within 15min. Honestly, I doubt I ever would go out of my way to eat there. However, I would definitely recommend it to anyone looking for something good to eat in Addison. Worth a try. Food was good but not great. Drinks were very good. Server was below average. Too quiet for such a noisy place and showed no enthusiasm at all. No smile. Hostess was not friendly either. Ambiance was good. 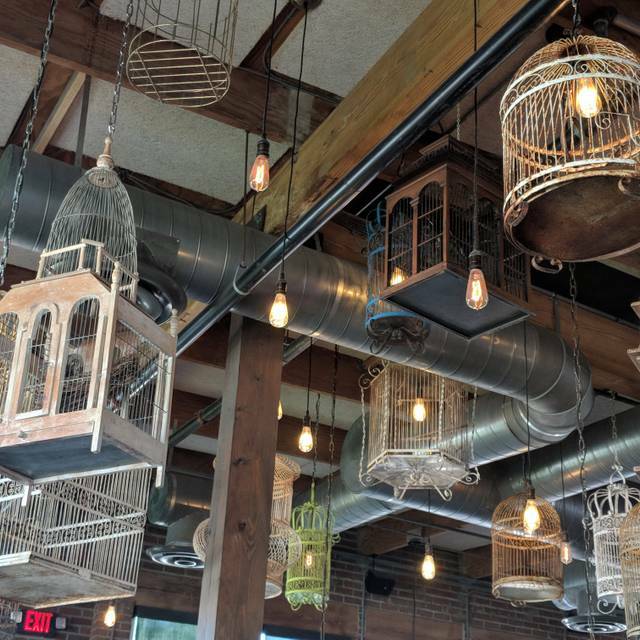 this restaurant. Everything was just too sweet! I also think they should bring biscuits out to the table instead of making you purchase them. Food was not that good. I ended up getting a burger because I thought that would not have sugar in it at least. Well, it didn't, I asked for it medium rare and it was medium with charring on the outside so I ate less than half of it. We just would not go back. Too many great restaurants in the Dallas area to spend the amount of money that we did for food that was barely okay! Service was as expected. Not outstanding but not bad either, okay. Disappointed that short ribs no longer included side of grilled veggies including broccolini, so chose shrimp and grits. Asked for sauce on side so not too spicy but grilled shrimp were over cooked and rubbery with no flavor. Daughter had chicken and waffles which were disappointing as well, very bland and nothing to write home about. Husband had ribeye which was great, with sweet potato dish side. Crab beignets were very tasty as usual. Decided that due to disappointment on 2 entrees and change in menu may not go back there again. Everything was amazing except the drinks, we were a party of 10 and none of us got a drink that was good from the bar. Our group had a fabulous meal with great atmosphere and service. Highly recommend. Excellent food and a very unique and tasty menu... Atmosphere is great and love the unique drink menu too. Service is fantastic as well.... Highly recommend this place. Food was good as always. Our service was not quite as good as our previous visits, but we still enjoyed our meal. Noise level was not energetic, it was flat too loud after 7:30. Waiter couldn't keep the water bottle full. BUT that was it, everything else was FANTASTIC!!! Lovely, and comfortable as ever, with unobtrusive service and delicious food. Good, not great!! Missed brunch but lunch was okay. Hope to try brunch there in the future. Perfect spot for a business meal. Outdoor seating was fantastic and the food and service were top notch. You won’t be disappointed. Great Southern style food with a twist. Cocktails were great order the Peachy Keane! Highly recommend the Crispy Chicken Wings with Alabama Sauce and the Chicken in a Biscuit. I am an 83 year old male, so I"m not your target customer and I don't expect you to take this seriously. Much too loud. I don't like to yell at my tablemates. In keeping with the theme of your restaurant, the menu was pretty much limited to the Southern Fried gravy or grits type of fare. It was done well. I was hoping to find Chicken Fried Steak, but didn't. Why did I eat with you? We were celebrating my Granddaughter's 20th Birthday and you were her choice, based on recommendation from her friend. My Granddaughter had a very good time, so I was glad to make her happy. This was my first trip of many to Ida Clare! This place was awesome. The service was great and staff made me and my friend feel so welcomed. The atmosphere was great and we sat for hours after we finished our meal because we were having such good conversation and the staff didn’t rush us out. I will definitely visit again! If anyone is looking to try something new, this is a wonderful place.... the redfish was delicious and the mimosas were too. The restaurant needs either new steak knives or sharpen the ones they have. I couldn't cut the rather tough pork chop and had to ask twice for a sharper knife. I also heard the table next to me ask for the same. When I told the waitress they needed new knives, she said, "we're working on it." We had a large party for a bachelorette party and the restaurant was great. Perfect tables for large parties. Great service. Good drinks and food. Highly recommend! Too expensive, for such a low quantity. Waffle Benedict was bland. Plus, we had the most nonchalant waitress, and she carried a very bad attitude. Service was outstanding. Server really knew their food and beverages and provided great guidance. Drinks were great as was the food. Choc cake was inanely good. Always good. Tasty and unique menu. Great atmosphere. Always perfect. Tobacco simple syrup bourbon old fashioned. Have one with Nashville hot fried chicken. Do it. Trust me. It’s so good to have Deion back! The food was definitely better than average, the waiter was thoughtful, kind, and had good recommendations. The food and drinks arrived sporadically, one persons meal took almost 20 minutes longer than the rest of our party. We will absolutely give it another try based on the quality of food, drinks, desert, and wait staff! Yes, with a unique atmosphere and some creatively southern cooking, I would recommend friends to visit at least once to experience it. Met a couple women for a business lunch and it was the perfect location. Food was good, service was great and it was not to loud so we could actually talk. I'm from out of town, but if I'm in Dallas you'd better believe I'm going to go to Ida Claire's. The food is always amazing and the staff is very attentive. And chef makes better biscuits than my Grandma...but don't tell her that. 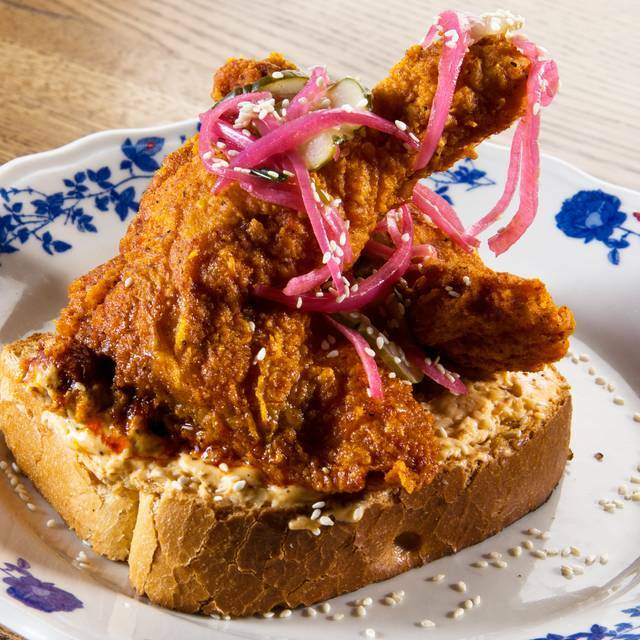 Nashville Hot Chicken is addictive and delicious, great balance of flavor, hot but not enough to keep you up all night. And try some Pimento Cheese and Chips too...can't be beat. We had a wonderful family meal. We were a large group (10) of adults and teens. Everyone was happy with menu choices and all enjoyed our meals. Service was excellent and staff was friendly and courteous. We will definitely be back! This place has an amazing brunch. Would highly recommend! We will definitely be coming back to explore more of the menu and try the outdoor patio. It was packed but that didn't deter from anything. Homemade mini biscuits are a must, ham steaks were spot on, chicken and waffles devoured, craft cocktails - good stuff here! I highly recommend making a reservation - Our OpenTable served us well! Service was good, food was good but not very hot! But they took care of us for that! Was a nice time. Did get a bit louder as more people came in! Great, food and great service. Recommend the Nashville Hot Chicken!!! Excellent food, cocktails, and service. Our server, Adam, was tops. He was spot on with his menu recommendations and his pacing was perfect. Amazing food and prople. One of my favorite restaurants!!!! !